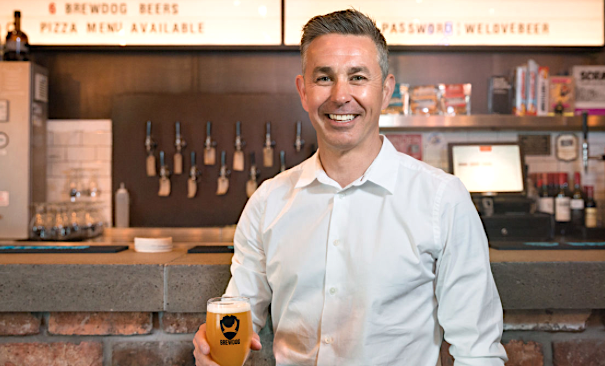 Ellon, Aberdeenshire-based craft brewing firm BrewDog said it appointed Jason Marshall to the newly created role of chief financial officer. “Jason brings a great wealth of experience to the role having served in the Coca-Cola system for 20 years,” said BrewDog. “At Coca-Cola European Partners he was a key member of the finance leadership team, leaving as VP Finance for Supply Chain. “At BrewDog, Jason will be responsible for enhancing the brewery’s finance function as it prepares for a period of accelerated domestic and international growth in 2018 and beyond. BrewDog cofounder James Watt said: “Jason’s passion, vision and tenacity is what most excites me about this addition to the BrewDog family. “His experience in working in a complex and multinational business is exactly what we need at this juncture in the BrewDog journey. “His proven emphasis on fostering a positive team culture aligns with our mission of being the best company to work for. Ever. Marshall said: “You can’t help but be impressed with BrewDog’s track record over the last ten years. “The rise of the craft beer scene in the UK owes a great deal to BrewDog’s bold, resourceful and idiosyncratic approach to doing business. “I’ve long been impressed by the contagious passion of James and Martin and the company’s socially conscious values, especially its Unicorn Fund.